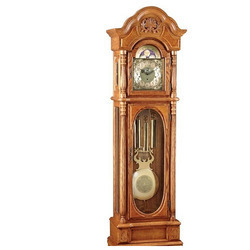 We produce nautical antique finish clocks with high quality raw materials. For all the time related experiments, we have on offer, the Stop Clock Mechanical that is perfect for laboratory experiments which do not require that much precision. Constructed in large metal body, it is provided with a zero reset lever on the right and a start-stop lever on the left. We are manufacturing and exporting a wide gamut of Mechanical Chess Clock that are made from superior quality material and components. These are provided with 2 digit displays, console displays, single and double-sided displays and available in various sizes. - Note We deal in bulk orders . Two sweep hands, one indicating seconds, the other recording minutes. Start-stop lever on the left hand side, zero reset lever on right hand side. Movement housed in metal case. Runs for 24 hours on one winding. Diameter of dial 100 mm. divided 0-60 x 1. In white powder coated metal case. 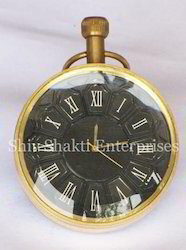 Our company holds vast experience in this domain and is involved in offering Mechanical Clock. An easy to use analog clock. Just wind up the movement, set the hands and you are ready to go. This inexpensive analog clock is ideal for schools & clubs or for anyone who wants the simplicity of an analog clock. Shorter to reduce the length of Chess Clocks.